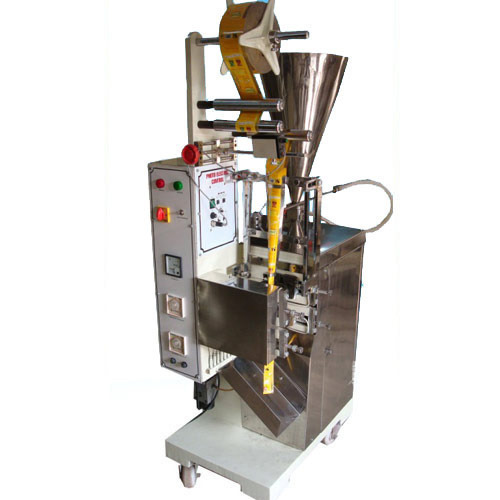 A machine which can properly fill the liquid in packets as well as pouches and then seal it up is often required. Vista Technopack Machines of Maharashtra has marked an edge over its rival by designing machinery which is performing the work of both Liquid Filling & Packing Machine. It is complete modernized machinery designed carefully for showing efficient working conditions. It helps to maintain the correct quantum of liquid to be filled inside and even ensures the proper packaging done to prevent any spill off. Our company is involved as the manufacturer and supplier of machine exclusively from Mumbai as well as exporting its machines successfully across India. Moreover, our company offers both the variety of machines one working automatically and the other semi-automatically. The innovative approach is quite appreciated in the packaging solutions field. We, “Vista Technopack Machines” are a prominent organization that is involved in manufacturing, supplying and exporting a remarkable range of Wrapping, Sealer & allied Packaging Machines. Our range of products encompasses Shrink Wrapping Machines, Semi-Automatic L Sealers, Shrink Chambers, Online Shrink Tunnel with L Sealers, Automatic Shrink Wrapping Machines, Rotary Shrink Wrapping Machines, Horizontal Shrink Labeling Machines, Bag Sealing Machines and Continuous Band Sealer. Also, we offer Band Sealer Heavy Duty Machines, Impulse Sealing Machines, Foot Direct Heat Sealers, Pneumatic Vertical Impulse Sealers, Pneumatic Sealing Machines, Tube Sealing Machines, Automatic Tube Filling Sealing Machines, Automatic Tube Filling Machines and Vacuum Sealing Machines. All our products are fabricated using excellent quality components and other material that is sourced from most trusted vendors with the aid of our procuring agents. The products made available by us are appreciated by clients owing to their intrusive attributes like reliability, minimal maintenance cost, sturdy construction, longer functional life, low power consumption, easy operations and hassle-free performance. Moreover, to cater to the diverse requirements of clients, we offer these machines in different sizes, designs and specifications. We have our huge clientele from all across the globe.